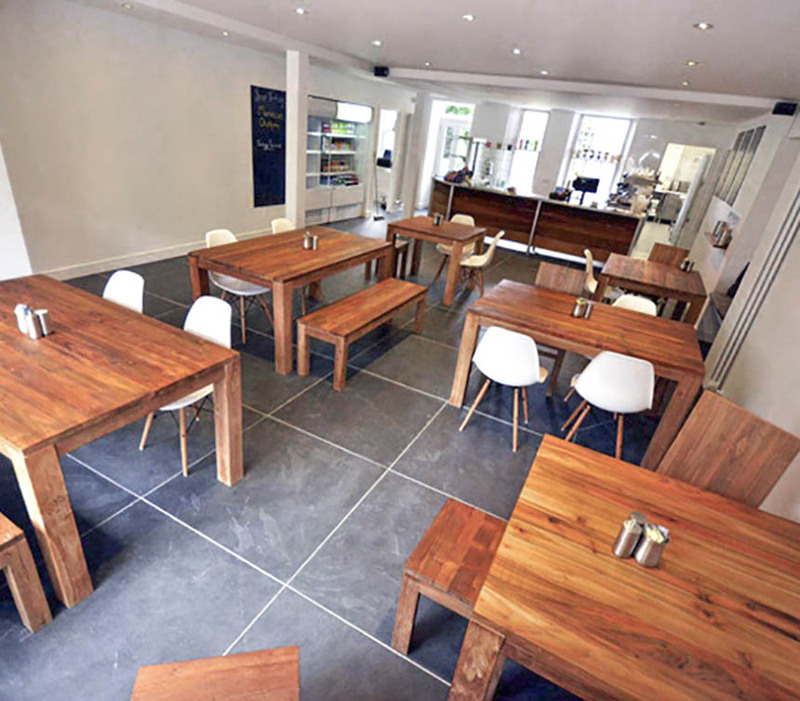 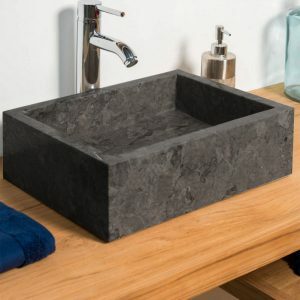 Rectangular stone sinks, basins and vessel units. 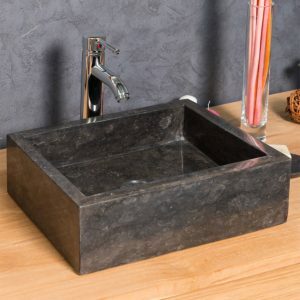 Wide variety available! 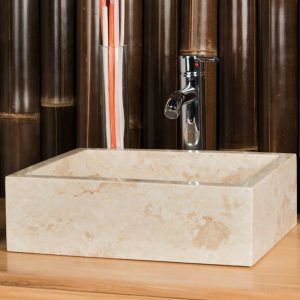 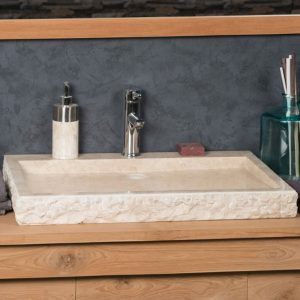 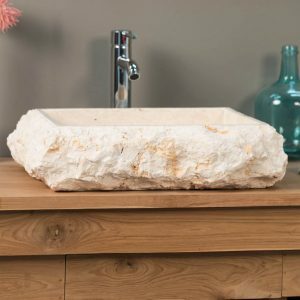 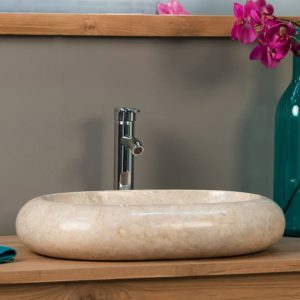 Cream Polished Rectangular Stone Sink – 50 x 35 x 12cm. 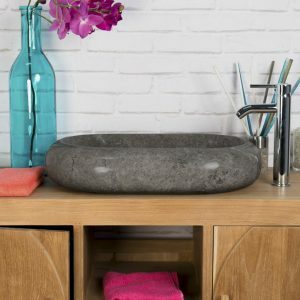 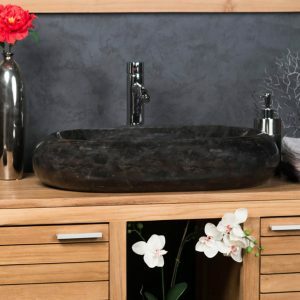 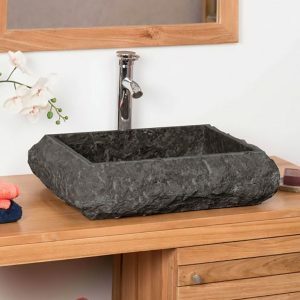 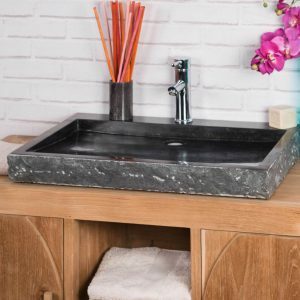 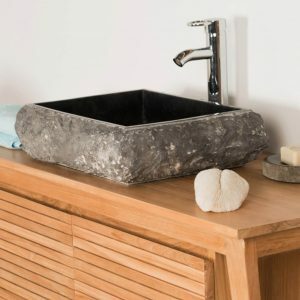 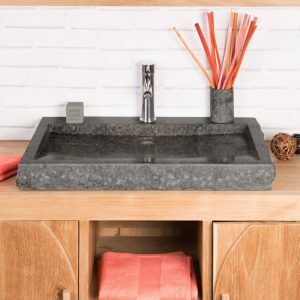 Black Polished Rectangular Stone Sink – 50 x 35 x 12cm.